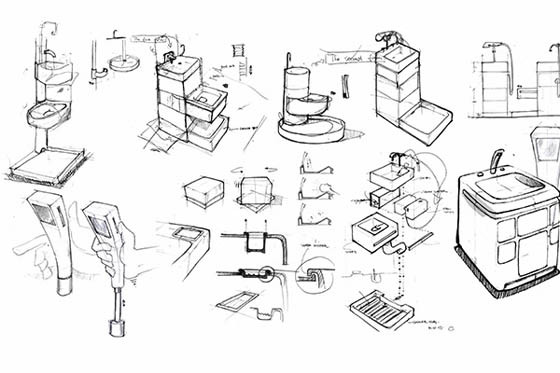 Even it is called “Q-Compact Toilet“, it is has way more functions than a toilet. 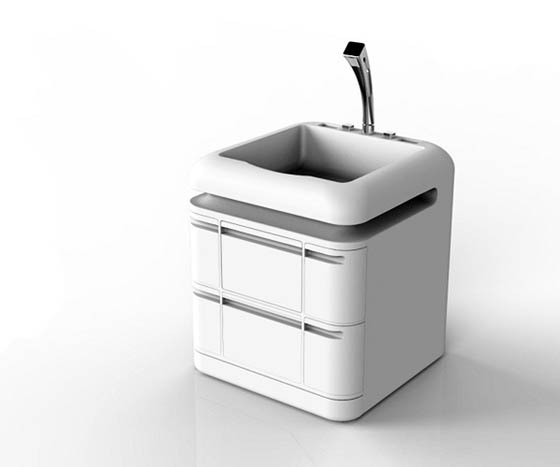 It’s essentially a cube that fits in everything – washbasin, storage, toilet and you even can use it as a shower. 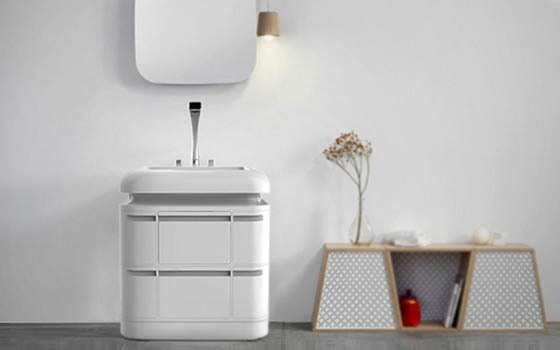 Moreover, its 60 liter water storage tank saves grey water from washbasin and use it for toilet. The washbasin’s faucet doubles up as a retractable shower so someone can easily get their hair washed without taking a full bath. But if you really want to have a full bath, just open the show tray at the bottom of the cube. 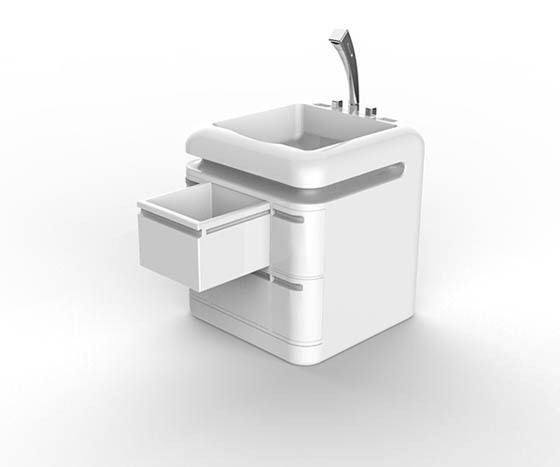 Then you can stand on top of anti-slip shower tray and use the retractable faucet to have body shower. 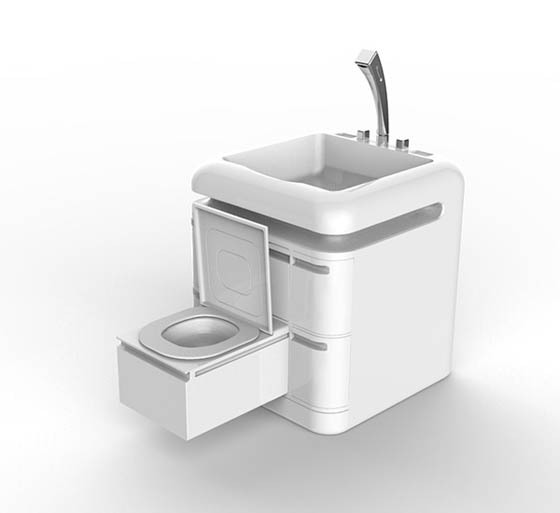 According to the designers, you can also pull the toliet out, sit on it with toliet covered during shower (not sure who will like to do that). 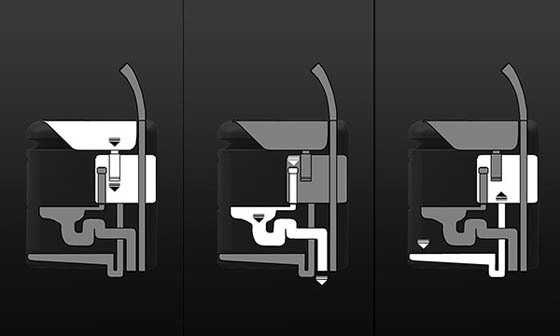 Don’t forget to check the video at the bottom to get more idea of how the Q-Compact Toilet works.